This does not mean that Lis One R/Sers who are twinned up with other List One R/Sers may be retwinned with non-List One R/Sers. 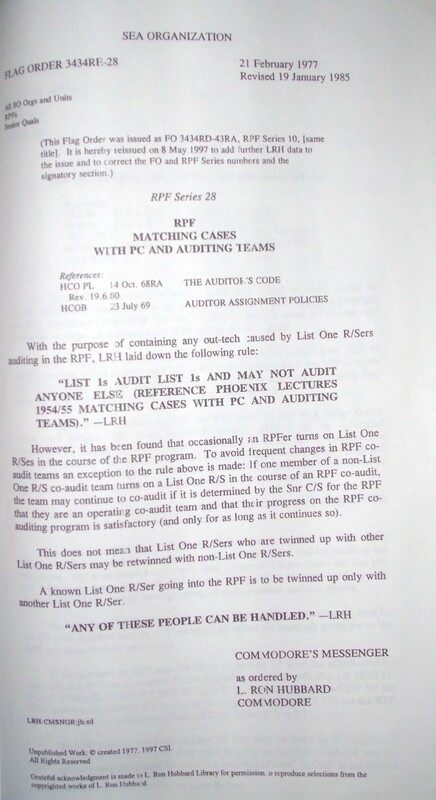 A known List One R/Ser going into the RPF is to be twinned up only with another List One R/Ser. Unpublished Work: © created 1977 CSI.